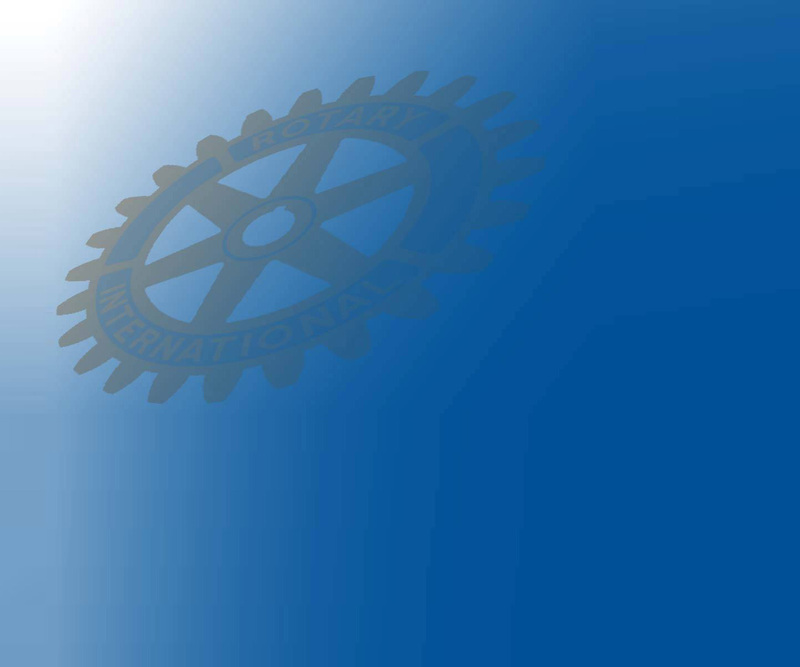 The Rotary Club of Fayette, Missouri,l observed its 75th anniversary on April 14, 2012, at 6:15 p.m. in the Student and Community Center on the campus of Central Methodist University. District Governor Rita Esterly joined us on this occasion of celebration. Jim Steele served as master of ceremonies and Miles Plzak was the honorary 75th anniversary chairperson. 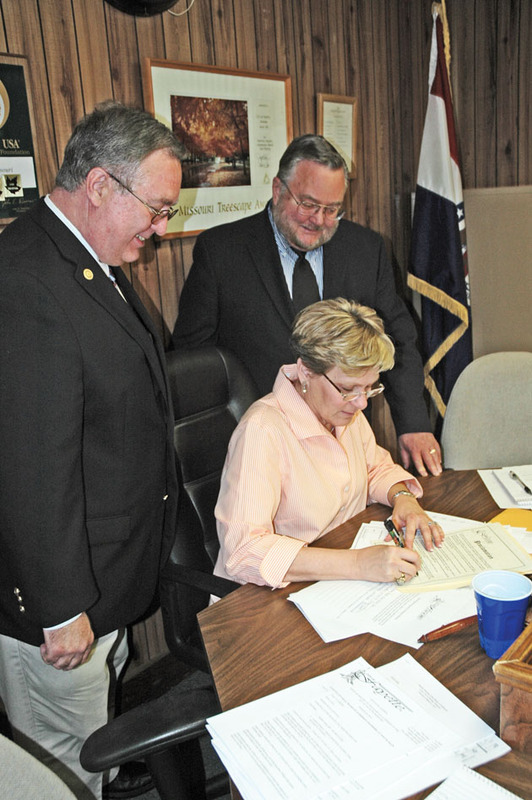 Fayette Mayor Jan Addison signed an official proclamation during the city council meeting Tuesday evening [March 21, 2012]. 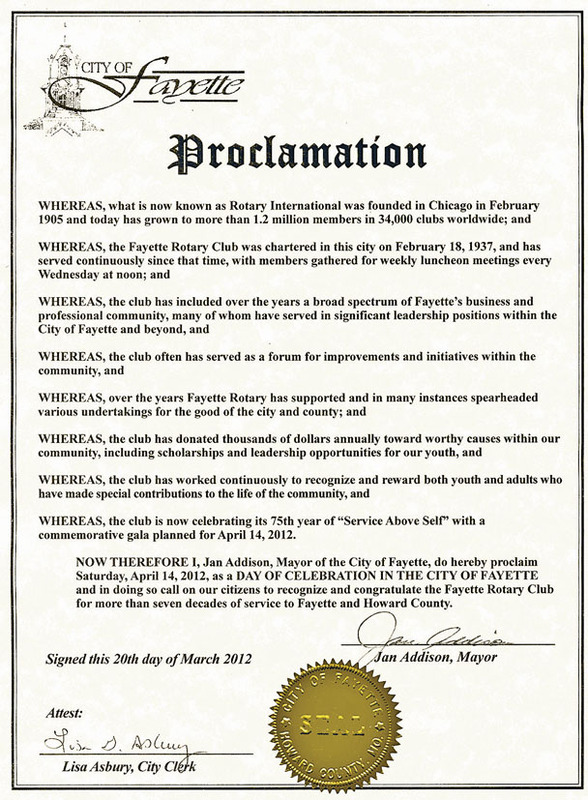 The proclamation (below) designated April 14 as a day of celebration in commemoration of the 75th anniversary of the Fayette Rotary Club. Looking on are club President Michael Pope, left, and Jim Steele, chairman of the Diamond Anniversary committee. The Diamond Anniversary Banquet was held Saturday evening, April 14, on the fourth floor of Central Methodist University Student & Community Center with entertainment by the CMU Jazz Band.